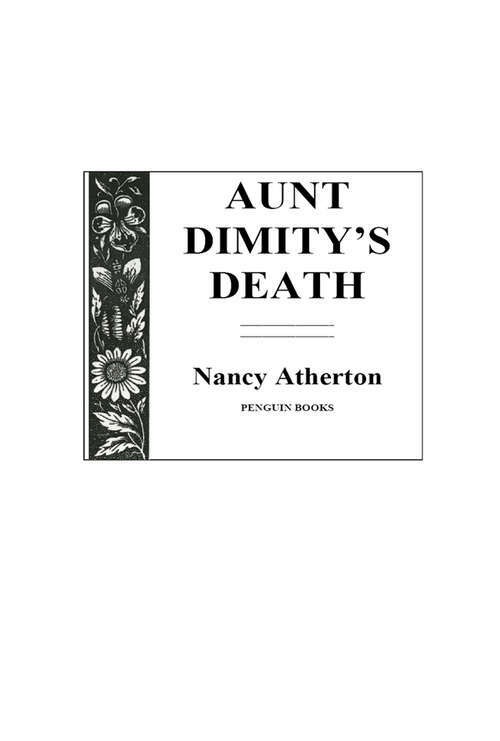 The first novel in the Aunt Dimity crime series, for fans of M. C. Beaton and Ann Granger. When Lori Shepherd was little she used to listen to stories of her inimitable Aunt Dimity from far-off England. Now Lori is newly divorced, down on her luck, and has long since realized her Aunt Dimity was just a character from a comforting bedtime story. Or was she? When Lori is summoned suddenly to a law firm, she learns Aunt Dimity was a very real person - a wealthy real person who has died and left a respectable bequest. Now Lori must visit her aunt's English cottage and find a secret hidden among the letters sent between her mother and Dimity over four decades. As Aunt Dimity's gentle spirit leads Lori on an otherworldly quest, she is about to discover a wealth of secrets that will open her eyes to the possibilities of life, and death. . .